Between the rugged overhead wooden beams and the long elegant glass table, you may feel caught between the modern and traditional in the Enoteca. It’s the perfect starting point for our “Choose Your Own Bottle” or CYOB dinners, where guests can relax in the comfort of family-style Friday night dinners while trying something new. What better way to do that then with a bottle of wine? As the Wine Program Intern, my job is to help select a wine that not only pairs well with the menu, but also with your own tastes. 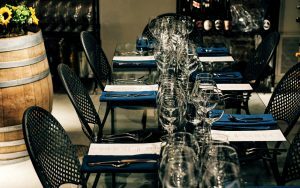 My advice would be to arrive early so that before the dinner starts I can treat you to a private wine tasting in our Wine Room. Although our Enoteca boasts more than 100 different bottles of wine, I’ll narrow it down to a few for the occasion. Often when you go to a restaurant there is a separation between the wine list and the guest. There’s a sort of needle in a haystack mania that takes over as you scour the selections and try to find something just right. 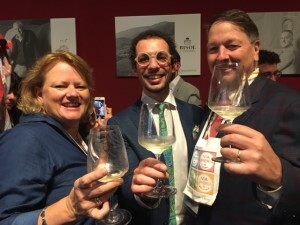 I think part of why I love CYOB so much is because I can help connect every guest to the wineries. Sharing stories of harvests and visits is just a part of how I am able to take part in a more personalized selection. 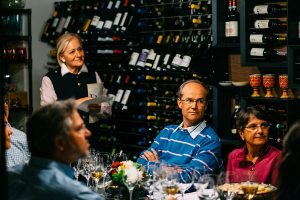 Though, the best part would have to be the look on their faces when they first taste the wine with their meal in the Laboratorio. 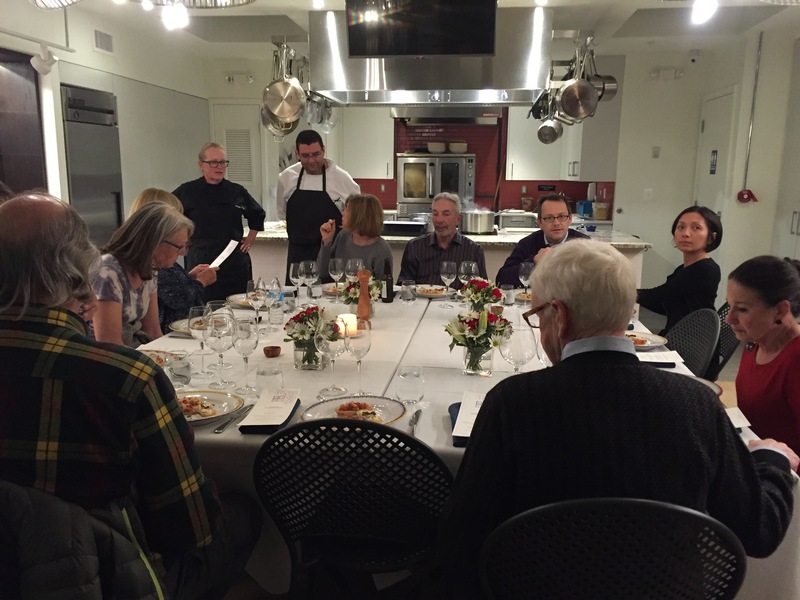 Led by the chef, Johanna, the entire evening is focused around Via Umbria’s mission to Discover, Savor, [and] Share. At CYOB you’re not just having a drink with someone you know. At CYOB you are discovering a new favorite wine from over 100 different bottles hailing from artisanal producers. You are savoring a delicious meal prepared right in front of you. Best of all, you are sharing this entire experience with everyone around you. A modern twist on Friday night dinners never tasted so good! There are few tasks more daunting than choosing a bottle of wine at a restaurant. Whether you’re an Everyday Enthusiast or simply a Weekend Wino, there’s always something slightly intimidating about being handed a list- or even worse, a book!- of wine names and being asked to choose the perfect bottle for your meal. In my experience, the struggle is attributable to three major factors: the pressure of picking a wine that everyone at the table (with their different tastes and food orders) will love, the impersonality of choosing a name from a page rather than a bottle from a shelf, and the price tag associated with what, nine times out of ten, boils down to simple guesswork. Don’t get me wrong – I love wine. I love white wine, I love red wine, I love cheap wine, and (much to my bank account’s dismay) I definitely love expensive wine. The problem is, loving wine doesn’t always help matters much when set to the task of selecting wines for a particular setting. Which brings us to the question: how does one choose? What makes one vineyard’s Sagrantino different from another, and how do you know to choose between them? Silly as it sounds the answer seems to be ‘choose the one you like’. 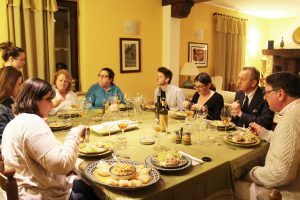 Coming from a family that treats meal time with the same reverence as many would a church service, I have been fortunate to encounter some amazing food and wines. 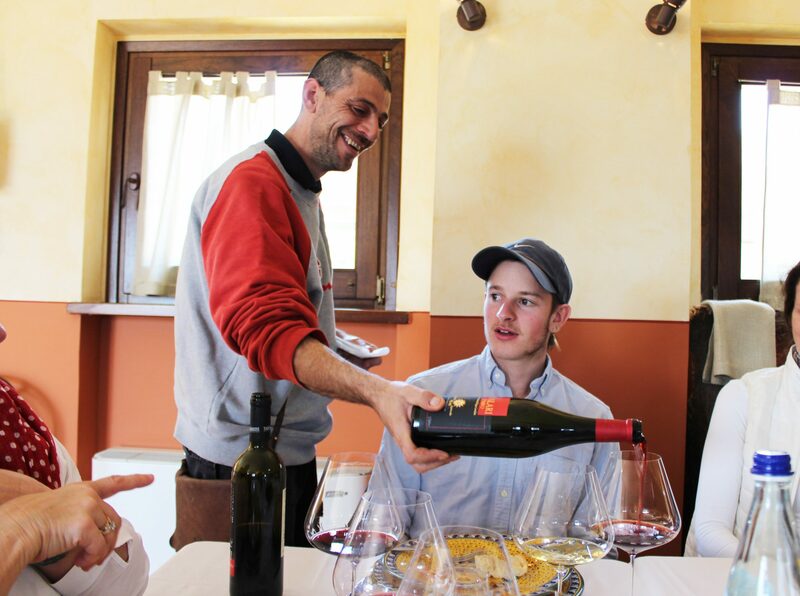 But as we eat and drink our way through Italy, one thing has become increasingly clear: learning the stories behind the wines, seeing where they come from, and meeting the people that created them imparts a special quality on each and every bottle. Even using the same grapes, and following all the same DOC regulations, vineyards all have a slightly different way of doing things, and it shows in their wines. While we may not remember the exact name of every bottle we’ve tried (especially after the second or third), our faces will always light up when we recognize a label, a vineyard we’ve been to, or recount the stories of an afternoon lost together in a tasting room – and this is an experience we want to share with you. 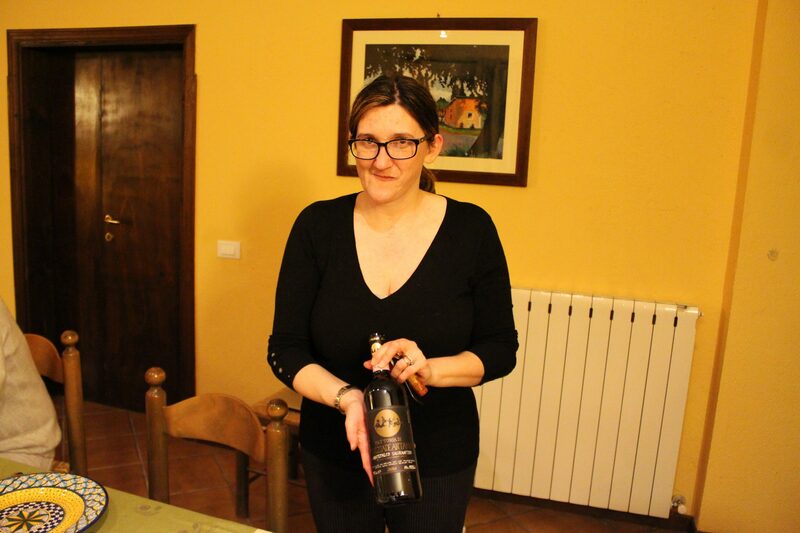 On Friday evenings, Via Umbria is serving dinners CYOB (Choose Your Own Bottle). A step up from your typical BYOB, we encourage you to come a few minutes before your meal, and talk and taste with our wine staff to pick the perfect bottle for both you and your meal (at retail prices!) 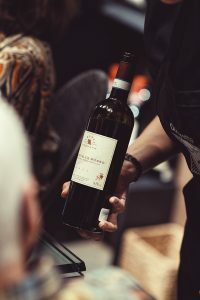 We’re excited for the opportunity to show you some of our unique bottles, all of which come from small production vineyards throughout Italy, tell you the stories behind them, and help you explore our selection to pick out something that you’re going to love. With nearly 100 distinct bottles to choose from, we’re sure we’ve got something for every palate. Our selection may not be considered typical; everything that we have, we have because we enjoy drinking it and we enjoy talking about it, and it’s meant to be interesting and accessible. You don’t have to know anything about tasting notes, wine regions, or Italian grapes, to enjoy these wines – although it’s great if you do. What’s most important to us in a bottle of wine is that you like it. Plain and simple. So come join us for dinner at our Ristorante on Fridays, choose your bottle of wine (CYOB), and let’s head upstairs to share a meal. 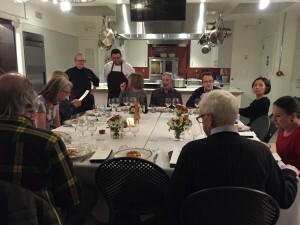 After all, drinking wine is great, but drinking great wine with great food is even better. 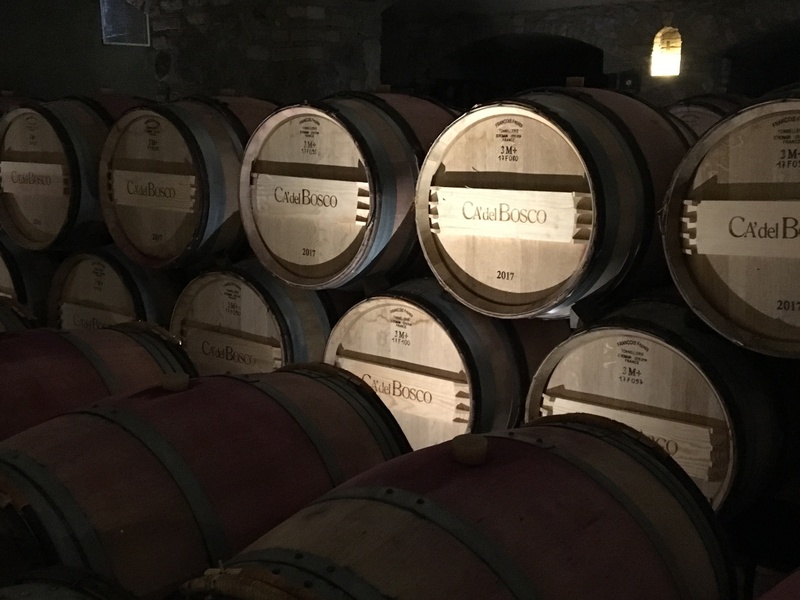 Travel Tips: Drink up in Umbria! Ah! The wine and beer! Umbria is unique for its small family-run farms, and extensive biodynamic and organic wineries. There are many areas for wine production in Umbria, including Orvieto, Montefaclo Torniamo and Assisi, just to name a few. The most grown type of grape is the Sangiovese, and Umbria is the center of production for this type. 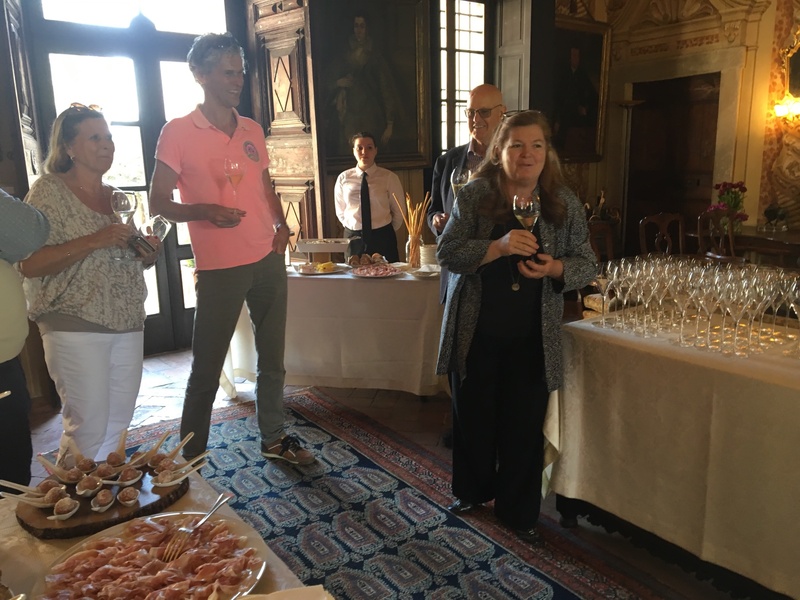 The Trebbiano and Grechetto grapes make delicious white wines, but when talking about wine in Umbria, one cannot miss the Sagrantino from Montefalco. This jewel in the crown of Umbria is the most delicious and prized wine in Umbria, and will change how you view red wine! Bill and Suzy, your hosts at our vacation rental house, are both wine lovers and wine aficionados. 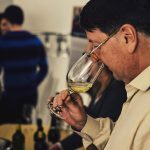 Not only will they make sure you get to sample the full range that Umbria has to offer, but they are a wealth of information, and can answer any questions you may have about the wines – including how best to drink them! But wine isn’t the only thing to indulge on in Umbria. Umbrian beers have grown in popularity recently, drawing from the monastic traditions of brewing that were popular in Umbrian history. San Biagio beer was one of the first breweries I’d heard of and tried, and they are definitely worth a taste. 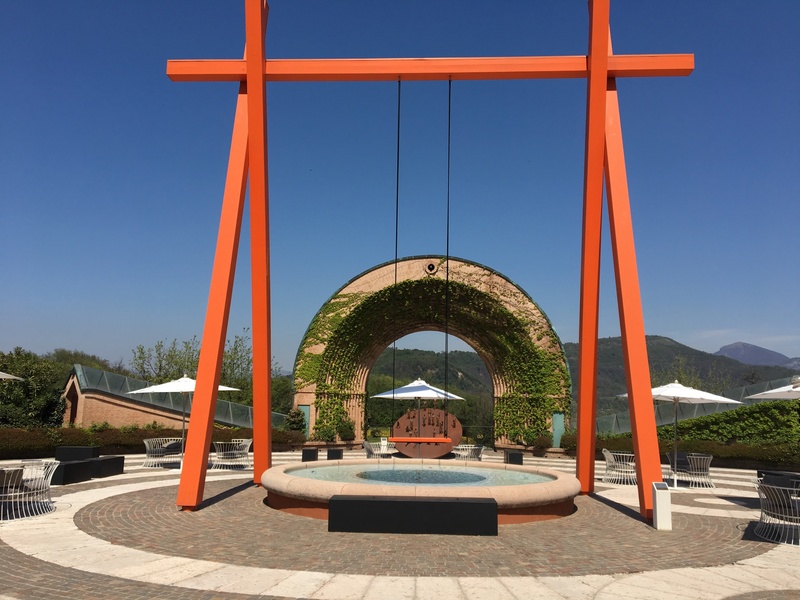 Lots of breweries thrive near Colifiorito, which is famous for its pure water springs, that enhance the taste and production of beers in the area. In fact, actual Benedictine Monks brew beer up in the monastery in Norcia, and it is possible to buy that beer all year long, or plan a trip around August 15th, when they open the monastery to the public. Now if Norcia is too far away for authentic monk beer, definitely make a stop at Casa Norcia in Santa Maria Degli Angeli in via de Gasperi and try some a little closer to the villa. 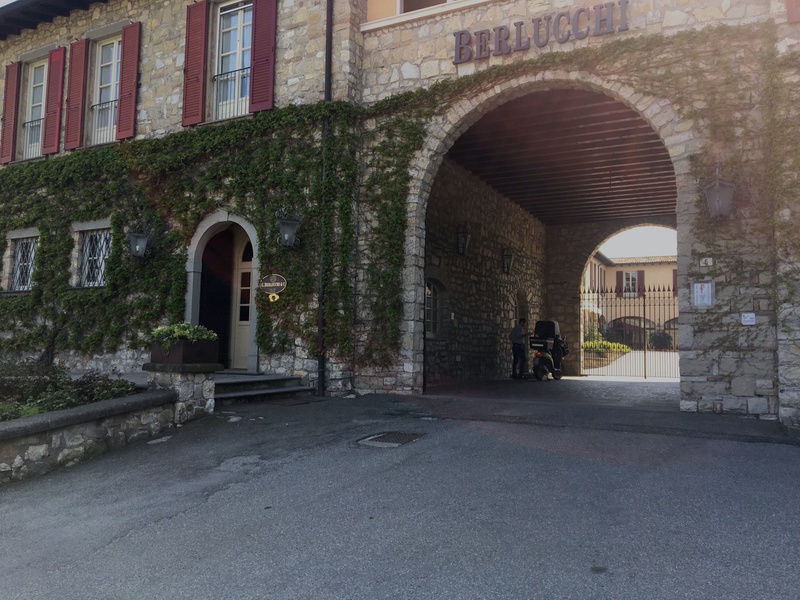 Other great breweries to try are: Birra Perugia, Khan beer, Birra Dell’Eremo (a close stop between Mt. Subasio and the villa), and Flea Beer. The popularity of beer in Umbria has definitely gone up recently, and with good reason, the beers are truly delicious, and excellent paired with a slice of pizza or a torta al testo! We came to Verona on this visit to experience VinItaly, Italy’s biggest and most important wine expo that takes place annually in this northern Italian gem of a city. 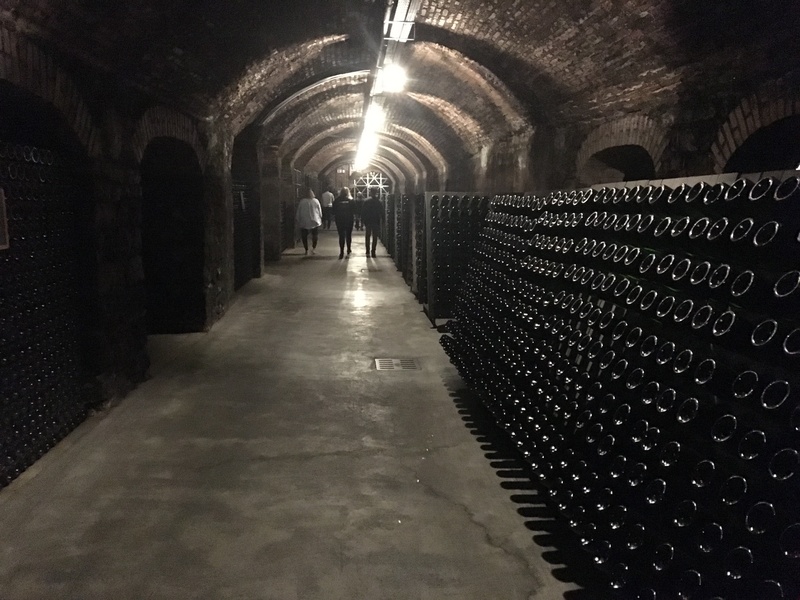 Housed under many roofs, thousands of exhibitors show off their wines to importers, distributors and retailers. 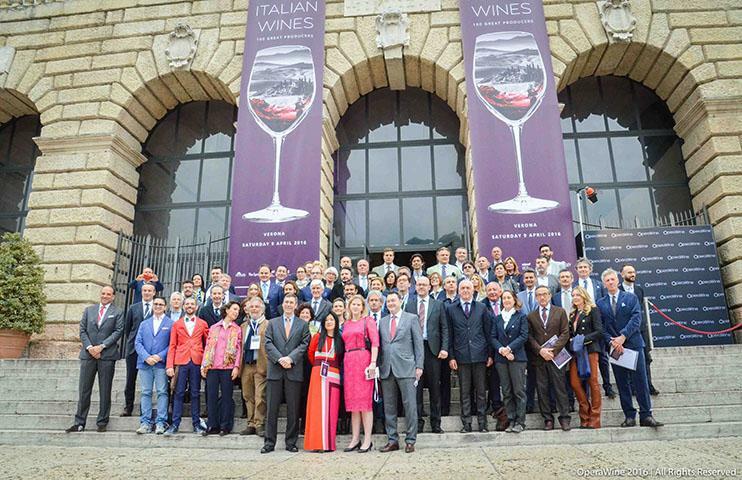 Until this year the show was open to the public for at least one day but the incredible crush of the mass public on those open days caused VinItaly’s organizers to rethink this policy and this year it was open only to “trade” members. 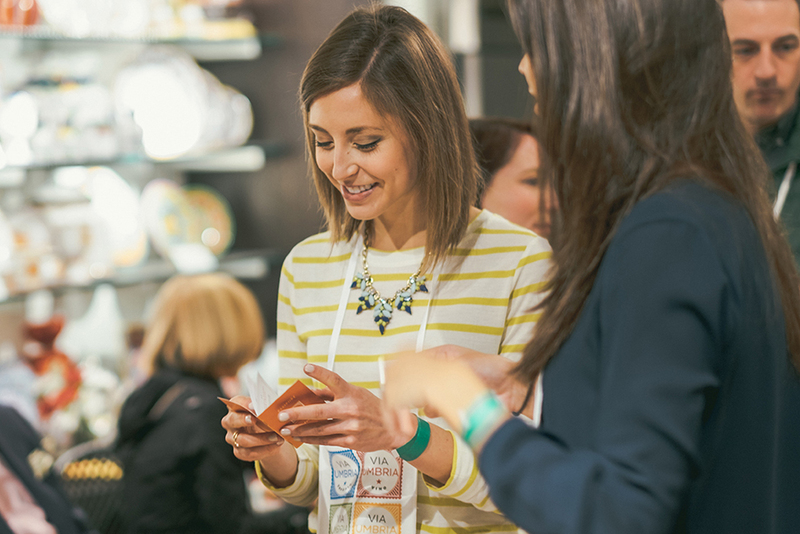 Thank you Via Umbria for giving us this modicum of credibility in order to snag a credential and an entry ticket. 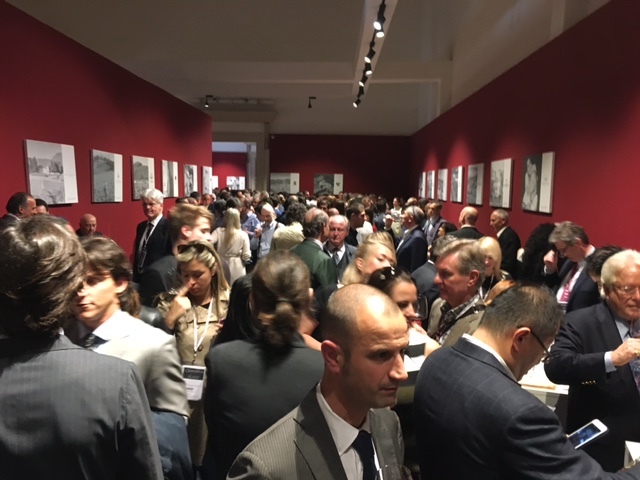 But if VinItaly is becoming more exclusive, even more exclusive yet is Opera Wine, which we had the honor of attending on the eve of VinItaly’s opening. Organized by VinItaly in conjunction with the Wine Spectator, Opera Wine is an exhibition within an exhibition, showcasing what Wine Spectator has deemed to be Italy’s “best 100 wines.” Our good friends Giampaolo Tabarrini and Daniele Sassi from Giampaolo’s Tabarrini winery were honorees this year and our meal ticket. 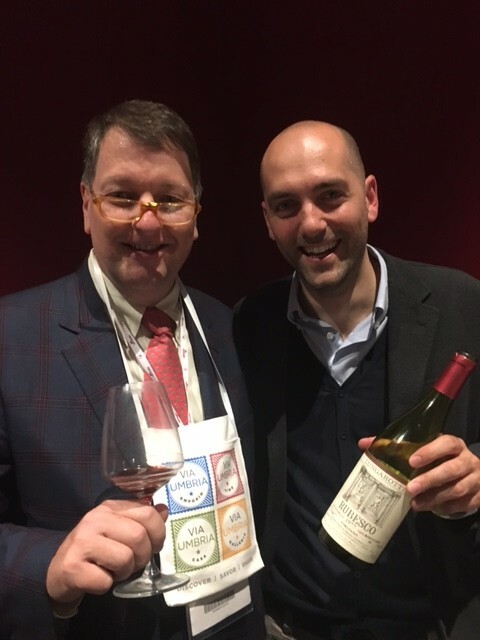 When Daniele offered us an entry ticket some months ago, we couldn’t miss the opportunity to sample these A List wines and meet their charismatic proprietors, even if it meant having to don a coat and tie. Catching a glimpse of Giampaolo Tabarrini in formal dress is about as common as seeing Bigfoot at the Met. But upon entering the Palazzo della Gran Guardia we headed to the Tabarrini table so we could see it for ourselves. And Giampaolo did not disappoint. Among a sea of short, tight fitting fashionable blue jackets with narrow lapels, elegant silk neckties and stylish shoes, Giampaolo stood out in his garish red blazer and Italian tricolore flag bowtie. But it wasn’t just his attire that made him stand out. The man’s gas tank is filled with nitro while others are running on unleaded. 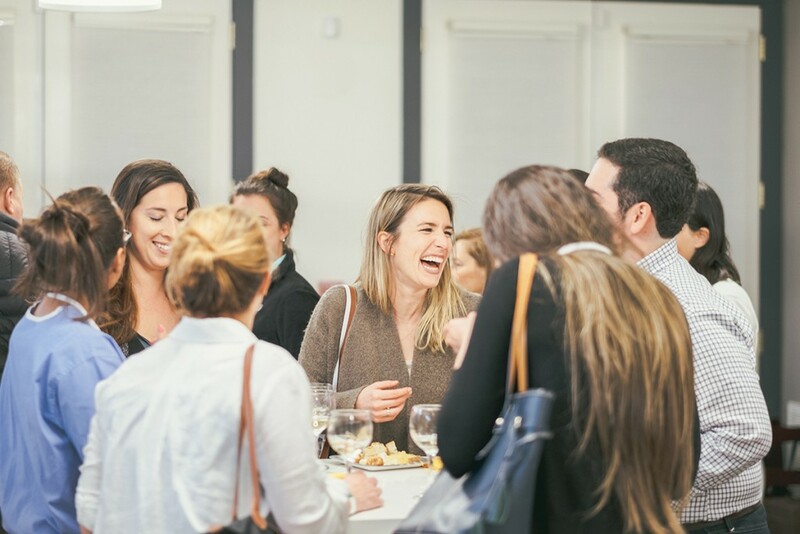 A blur of activity with a perpetual smile and a twinkle in his eye that is visible from the next galaxy, Giampaolo tirelessly worked the room after room of producers, buyers and press, laughing, hugging and befriending everyone he could lay eyes or hands on. The secret to his ability to connect? It’s genuine. After exchanging our hugs with Giampaolo and Daniele the former gave us some great advice that we took to heart for the next two hours. 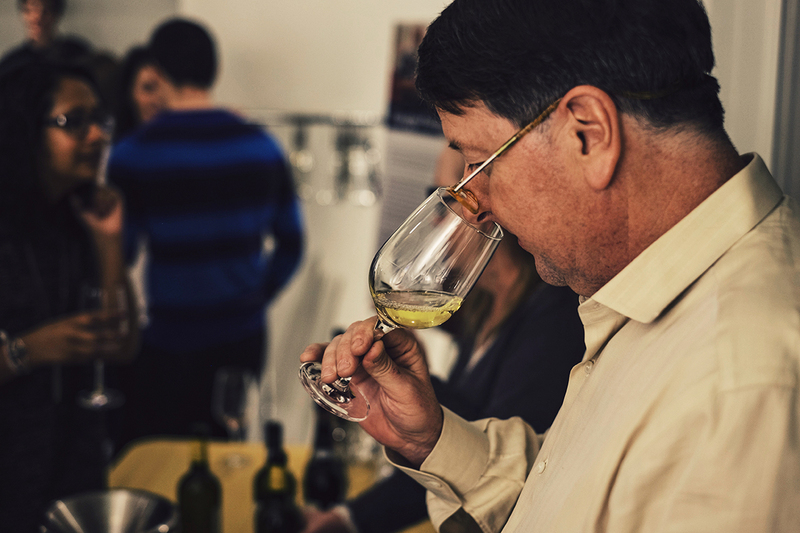 “Don’t miss out on drinking the wines from Piemonte. They are beautiful!” And indeed they were. Barolos mostly, from the biggest names in the business. We tasted and savored, met some of the owners and reacquainted ourselves with some we had met before. 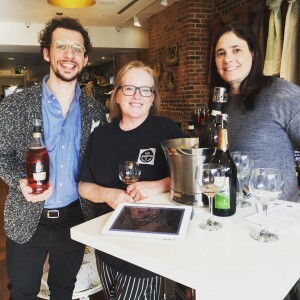 We recognized a few labels that we carry at Via Umbria and introduced ourselves, only to find, in the case of Bisol, that their rep had already spent an afternoon in our Georgetown store. TV cameras lit up, interviews flowed like wine and wine flowed like wine. 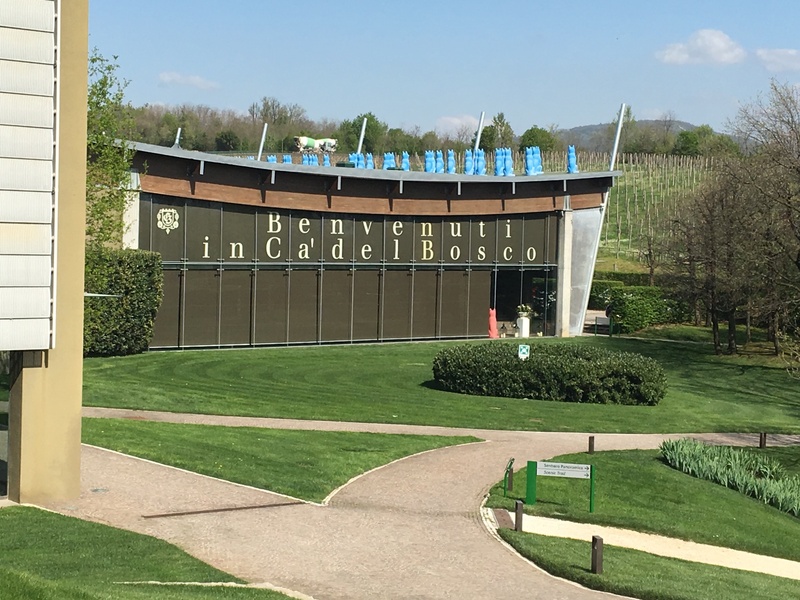 And for two hours we truly were in another world, one inhabited by what Wine Spectator believes are the 100 best wines in Italy. Some may take issue with their particular list, but one thing is undeniable. 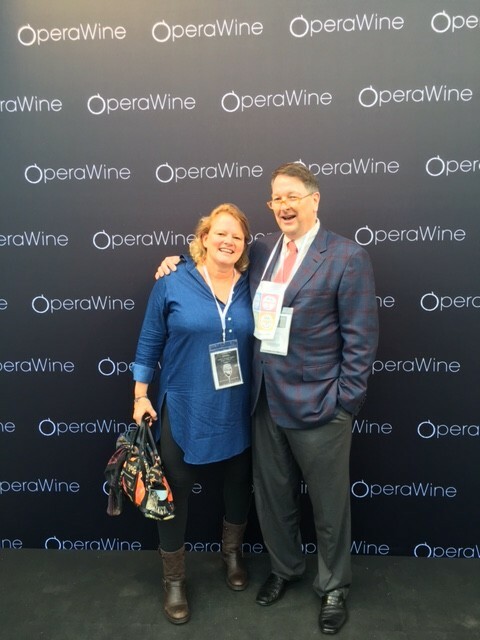 To enter Opera Wine is to enter a truly special world, inhabited by truly special winemakers and their truly special wines. And it is a place that one truly does not want to leave. 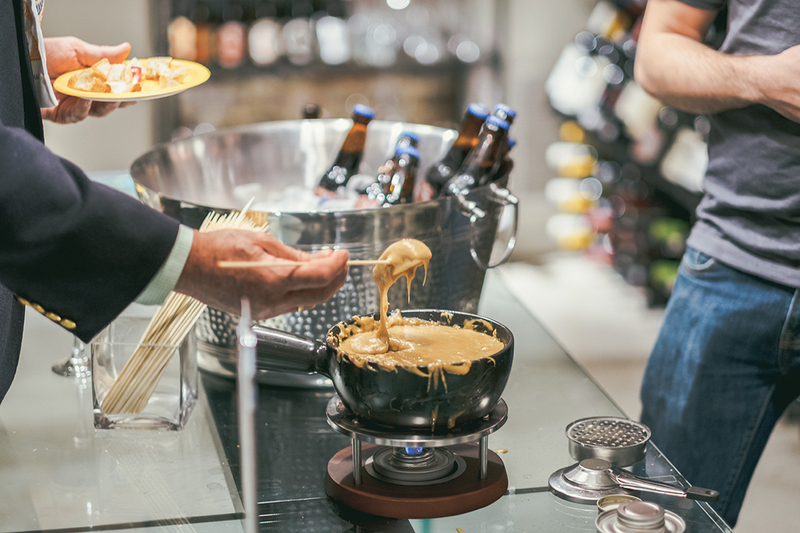 On Wednesday March 30, passport in hand, our intrepid MELTers traveled through the raclette rivers and fondue forests to visit each of our five amazing cheese stations. First stop? The accompaniments table! 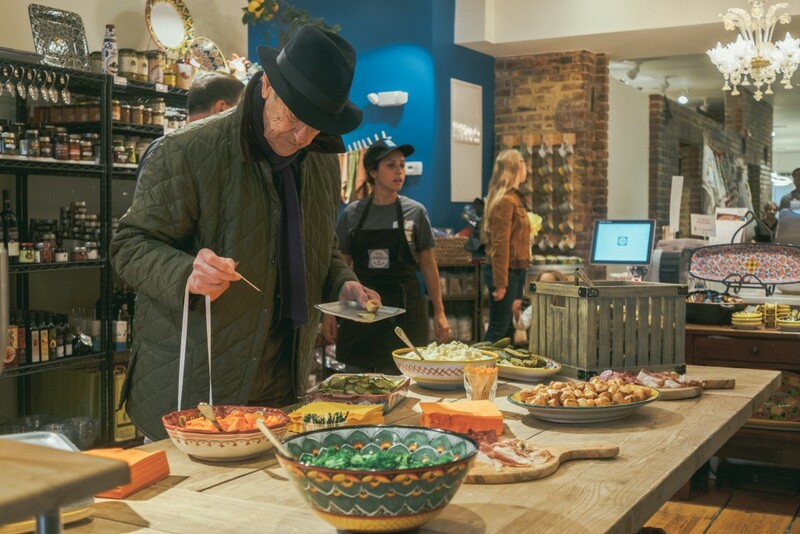 A veritable cornucopia of mouthwatering treats from homemade pretzel bites to Gordy’s pickles, to a selection of our favorite charcuterie, this table featured something special for everyone (and every cheese). 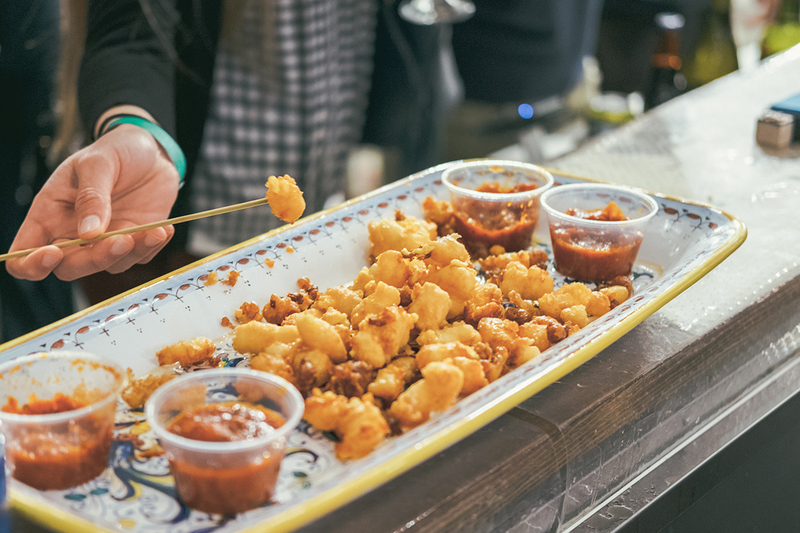 Next, our fearless cheese fiends found sanctuary in a down-home Midwestern favorite: Wisconsin Cheese Curds. These ooey-gooey, deep fried pieces of heaven were an instant classic–especially when paired with Chef Johanna’s homemade marinara! Don’t just take our word for it though, stop by Spritz O’Clock soon to taste these mini marvels for yourself. Further into the cafe, our daring patrons were treated to the dazzling spectacle (and mouthwatering aroma) of raclette being melted to order. When paired with Gordy’s Pickles and starchy potatoes, this station was a #MELTy indulgence beyond compare. For those of you looking to recreate this moment at home, stop by and pick up a Partyclette machine from our cheesemonger and be the host with the most at your next dinner party. 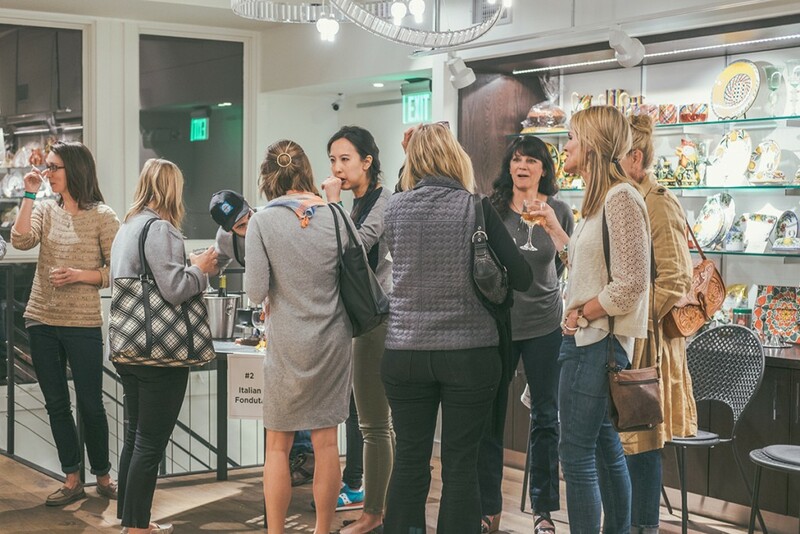 Before following the scent of cheesy goodness upstairs, our noshing nomads made a quick stop in the wine room for a triumphant taste of American Pub cheese. This beer based bite of bliss paired perfectly with the Port City Porter and Chef Johanna’s homemade pretzel bites. Pretzels, porter, and pub cheese? What more could a party provide?! The answer to that question lay waiting for patrons upstairs in our laboratorio where Chiara was serving an Italian Fonduta over perfectly toasted baguette. This truffle infused #MELTy masterpiece was clearly a crowd favorite, as it was the first to disappear. Fortunately, Federico came to the rescue and delighted our dauntless diners with handmade cheese ravioli. For those who missed it, he will be hosting an encore pasta performance in the Cafe every day at lunchtime. Last, but certainly not least, our gallant and engorged guests found themselves faced with a meal of mountainous proportions…or at least flavors. The Alpine Fondue station, featuring smooth, garlicky, Swiss flavors had everyone yodeling for more. We would like to say a special Thank You to all of our courageous cheese connoisseurs for making this event such a success. We went through fifty pounds of cheese, but our cheese counter is still stocked! 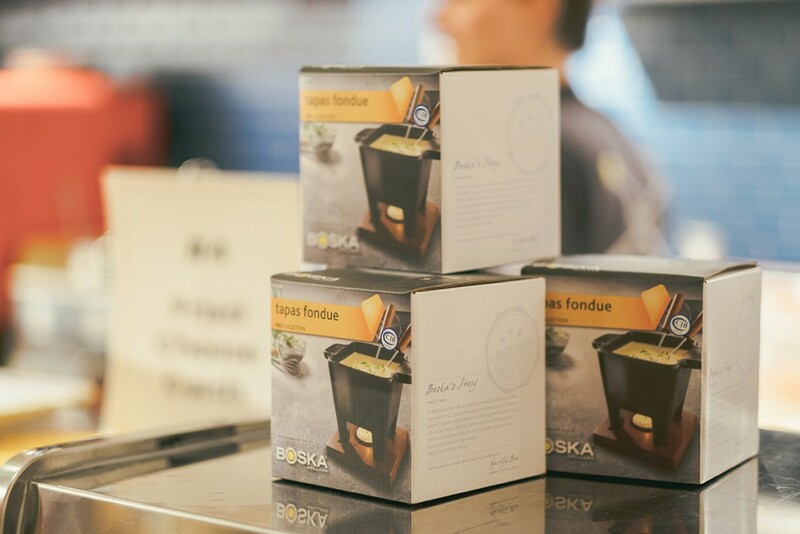 For those of you who weren’t able to attend (or want to relive the night), we have a special treat: visit our cheese counter and take home a fondue kit, specially curated by in-house Cheesemonger Alice Bergen Phillips and make a little #MELTed magic of your own. 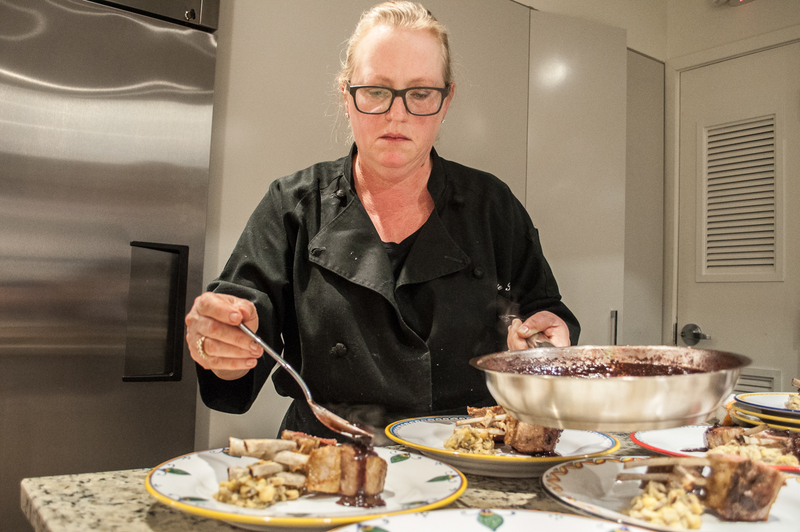 Today we sat down to chat with resident Chef and Certified Sommelier Vickie Reh. In addition to her work as Wine Director at Via Umbria, Vickie is the culinary powerhouse behind our Thursday Comfort Food dinner series. 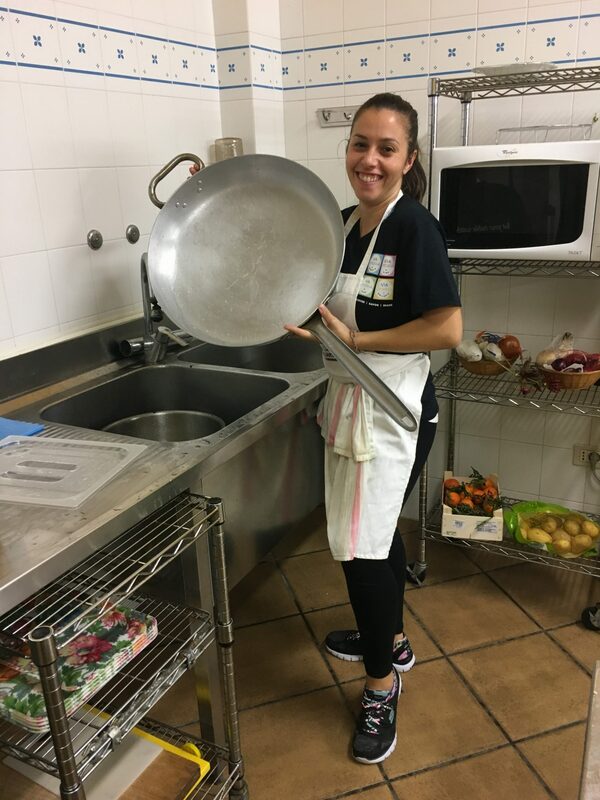 We talked about her favorite way to prepare a rare heritage grain, the place of comfort food within Italian culinary tradition, and what it means to cook with restraint. 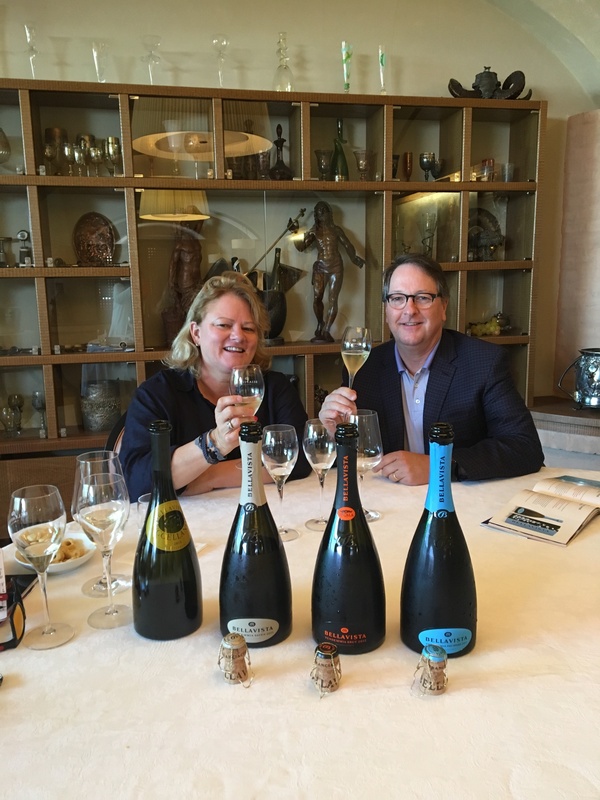 As Wine Director, Vickie Reh organized a sparkling wine tasting last week with Stefano Marangon of Bisol Prosecco and Franceen Khang of Vias Imports. Here, they’re trying out a Cuvée Rose Brut. In your opinion, what is comfort food really all about? How do Italian food and comfort food intersect? Comfort foods are the foods you dream about, the foods that warm your soul. They aren’t necessarily winter dishes. They’re dishes that evoke memories and emotions. I think that one of the basics of comfort food is that there aren’t a lot of complicated ingredients. Comfort food centers traditional combinations that make people feel happy and because you are using very few ingredients, the ingredients themselves must be perfect. That’s how Italian, and in particular, Umbrian food works. In a way, Umbrian food is humble. Umbria is a landlocked region in Central Italy and Umbrian cuisine eschews more luxurious ingredients like lobster for grains, legumes and vegetables. 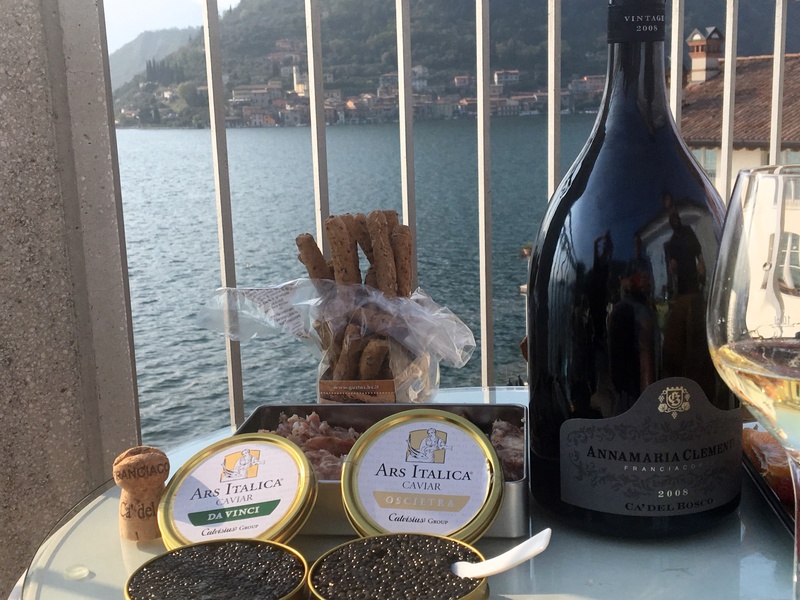 You can certainly find some rich ingredients there, like gorgeous black truffles, but for the most part Umbrian cooking uses foods that can be grown or foraged in the surrounding countryside. When I travelled to Umbria, I was particularly fascinated by their use of this stunning variety of vegetables, legumes and grains. Did anything surprise you about how they used these ingredients? 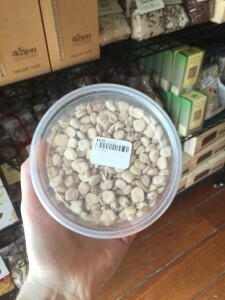 When I travelled to Umbria with Bill and Suzy, we tried grains and legumes I had never seen before. Some of the Italian chefs I later spoke to hadn’t even heard of them either. 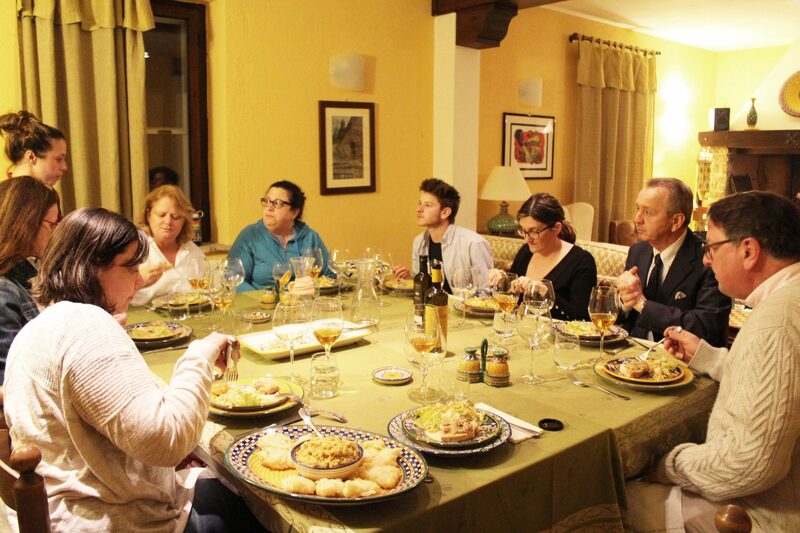 One of my favorites, which we cooked with Ernesto Panziani from Cannara, is called cicerchie. 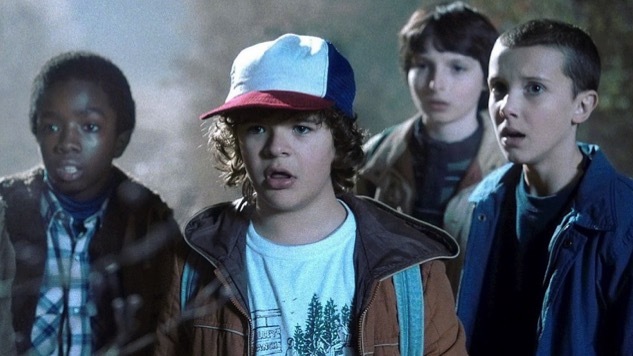 It’s sort of like a combination of a chickpea and a fava. It’s amazing but very obscure outside of Umbria. Via Umbria is working to import it through Il Molino, an organic grain producer we visited just over the border of Umbria in Lazio. 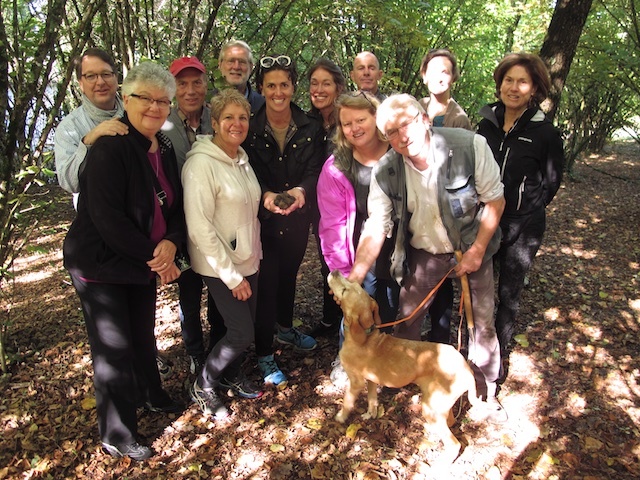 Cicerchie bought by our food-buyer, Deborah Simon, on her food-buying tour of Italy this month. We haven’t got much left, so get some before it’s gone! Ernesto did something very interesting with the cicerchie. Typically, cicerchie are made into soup or served cold in salads. But Ernesto cooked them until they were quite soft and then sautéed them with shallots and garlic in this beautiful olive oil. I’ve done that now five or six times at Via Umbria as a side dish for lamb. It’s so beautiful. The texture is fabulous—because the cicerchie are cooked until fairly soft, the texture when sautéed is similar to that of homemade refried beans. It’s not crunchy. It’s got just a little chew, and this whole lovely chickpea-fava flavor mingled with the shallots and garlic. It’s such a good recipe. Although I serve it as a side dish, it could easily be a great main course for a vegetarian. Vickie dressing cicerchie and lamb with a Sagrantino truffle reduction. Your passion for Italian cuisine shines through in everything you do here. What makes Italian food special to you? I love Italy and I adore Italian food. It tends to be simple and classical. Italians have adhered to their traditions and classical roots. You’ll notice that’s how Ernesto and Simone cook. And that’s exactly how I have always cooked. I always say, I’m not trying to reinvent the wheel: I’m trying to make the perfect wheel. For example, if I’m making Spaghetti with Cacio e Pepe, I’m not going to say, “For this new twist, I’m going to use a different type of cheese in my Cacio e Pepe!” Instead, I will use exactly what is traditionally used—Pecorino Romano, Parmigiano-Reggiano, and black pepper.” I want to use as few ingredients as possible because that’s how it’s made in Rome. 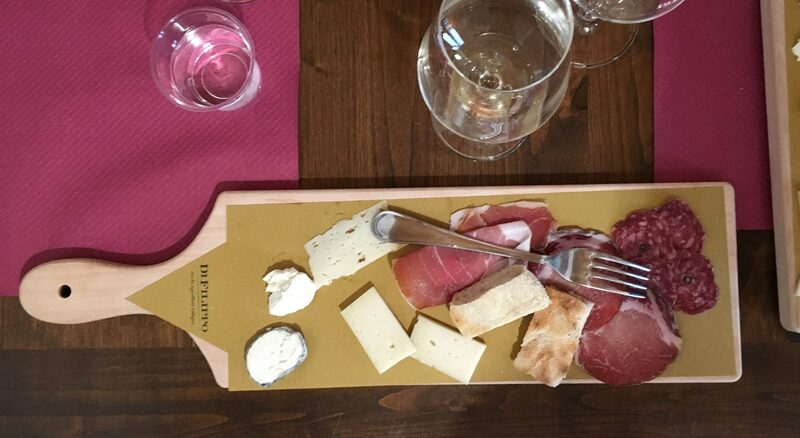 When you’re in Italy, you’re eating amazing food that doesn’t have 5,000 different ingredients. It tastes really good and it’s not complicated. I think it’s actually harder to cook well with fewer ingredients. It is all about restraint. If you only have three ingredients in a dish, you have no room to hide. Each ingredient must be perfectly sourced, perfectly ripe. 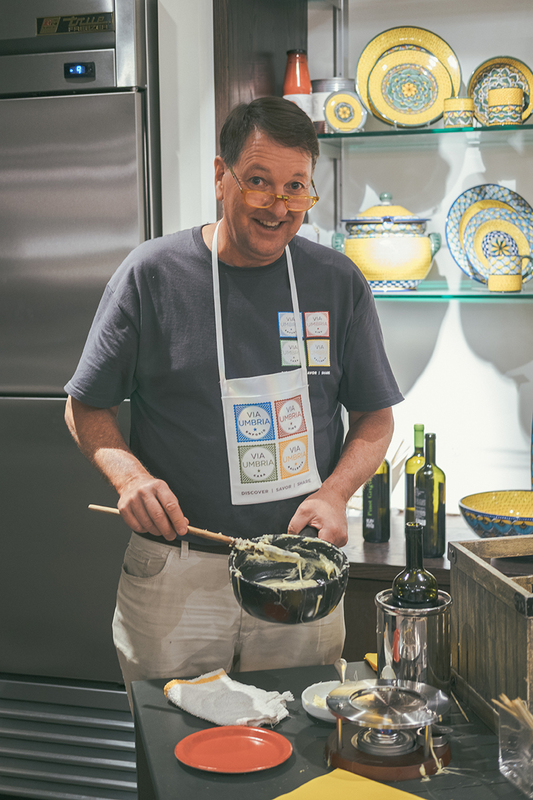 When I was head chef at Buck’s Fishing & Camping, I used to say, “Have the guts to buy a perfect tomato in season, add superb olive oil and the best sea salt, and call it a day.” One of my rules is to buy the best ingredients possible and get out of their way. To me, that’s what cooking is about. Letting the ingredients shine. I feel that’s very much an Italian concept. Vickie’s Comfort Food dinner last week was the perfect blend of elegance and familiar favorites. Join us for Vickie’s next Comfort Food dinner on Thursday, March 31st at 7:30 pm. Her beautiful meal will feature tagliatelle Bolognese, meatballs, raviole (a jam-filled tart), and more. We hope to see you there!